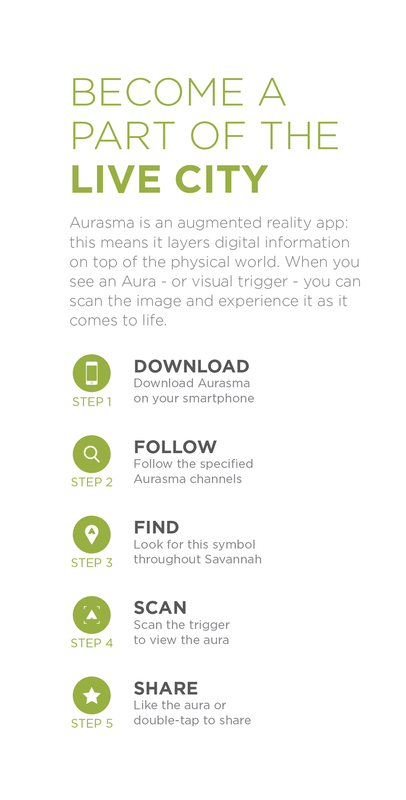 This collaborative project brought the world of augmented reality to the city of Savannah. 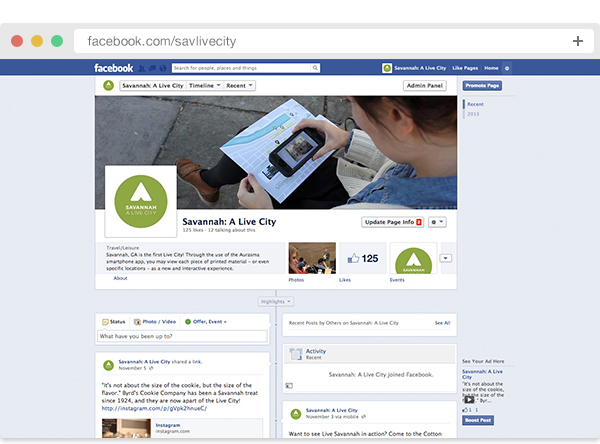 Working in partnership with Hewlett Packard and Visit Savannah, we used HP’s app Aurasma to create Savannah: A Live City. The app allows users to experience the city in a whole new way, combining sight-seeing and historical information for an immersive experience. In addition, we developed and designed the over-arching campaign, applying it to the four local businesses involved in the project.